Aizawl, Mar 12 : The 45th general conference of the Presbyterian Church Women Wing being held at the Republic Veng locality in Aizawl passed a resolution that an awareness campaign advocating women to conceive more children should be launched. The delegates of the general conference on Saturday decided that the matter should be taken up by the central committee of the Kohhran Hmeichhia or the Women Wing and prepare the detailed programme. The agenda was initiated by Bungkawn and Bawngkawn Pastoral women wings and they said all Mizo couples should be encouraged to have more children and added that poor couples who have more children should be provided some assistance. 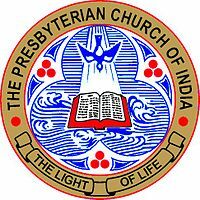 Earlier, the Presbyterian Church leaders have issued statements encouraging Mizo couples to bear more children and the womenfolk seemed to have taken the cue by adopting the resolution. Though it might be in contravention to the national family planning policy, church leaders have always propounded the concept of multiplying in accordance with the teachings of the Bible in the Old Testament. They claimed that physical increase in population would lessen the risk of being assimilated by larger communities surrounding the small Christian-dominated state and that economically it would be more advantageous as more Mizo workforce would be produced. The delegates of the conference also adopted an agenda that decent dress should be formulated for the bride and the bridesmaid during church wedding and the matter was handed over to the central committee.